Just in time for the Season 4 premiere of Game of Thrones, the actor who plays one of your favorite characters has latched onto a new deal. 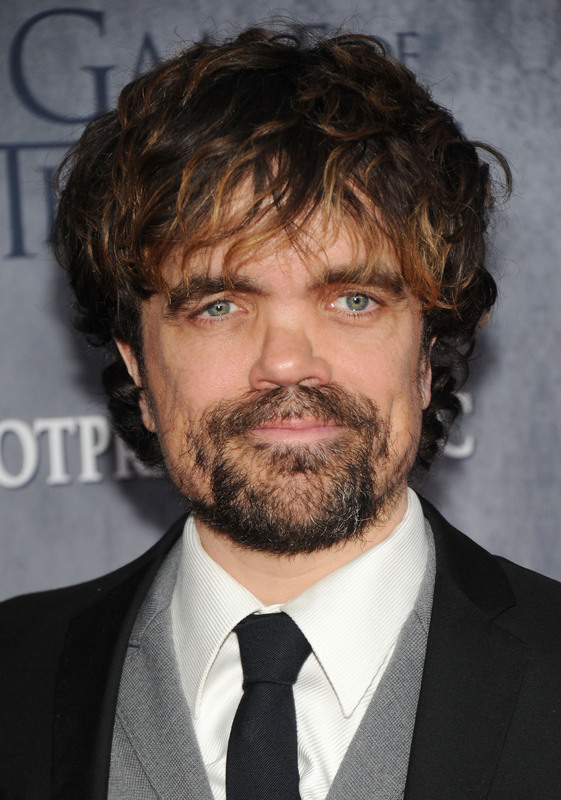 Peter Dinklage will star in Pixels , which also stars Adam Sandler, Kevin James, and Josh Gad. The film will be produced by Sandler's production company, Happy Madison. It seems like an unlikely combination — Dinklage and Sandler — so we'll definitely have to wait for more about this surprising collaboration. The movie, which is based on Patrick Jean's 2010 short film by the same name, is about a bunch of video game experts (read: nerds) who are the ONLY ONES (cue emphatic shouting) who can save the day when '80s video game characters start attacking the planet aaaah! No word if it will feature an enormous CGI Pacman eating the actors or not. Please say yes? But here's the big question (besides "will Pacman eat a human? "): Who is Dinklage playing? Is this another case of sizist casting? I am weary of the word "stereotype" since his characters are so diverse (the lively Tyrion Lannister is the polar opposite of the taciturn Finbar McBride in The Station Agent). Or will he play a character whose height is, thankfully, never brought up? Of course, Tyrion Lannister is more than his height — his wisecracking, his wisdom, and his hilarity (and at times, his drunkenness) are his primary traits. He's perhaps the most intriguing character on the show. There's no denying how vast Dinklage's talent is. But — lest we forget — Tyrion is also a dwarf. It's one of his defining characteristics. The question remains: Is there such a thing as "size blind" casting? While we don't know much about this character yet, it's unlikely that this will be the movie in which his height goes unmentioned, as Sandler is not one known for dealing with physical appearances quietly. Still, we can see the actor continue to impress in the upcoming X-Men: Days of Future Past as a "not-quite" villain.